I’m excited to team up with my colleagues from the Teaching Mosaic to share with you what I’ve been reading this summer – please head over to Tamara’s blog to check out all of the other fantastic posts from my “peeps”! Chances are, you’ve seen or heard about The Reading Strategies Book by Jennifer Serravallo. It might’ve been on a colleague’s book shelf, discussed in a staff meeting or PLC, or come across one of your social media feeds. If you’ve already bought it then you’re already in on what I feel is the single best professional resource for teachers, EVER. 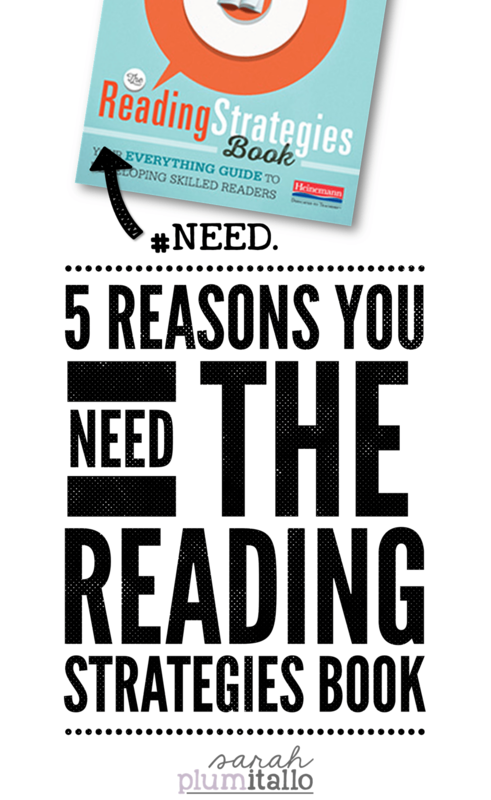 If you haven’t, then read on (and share with a friend) for the five reasons YOU need The Reading Strategies Book. This is the most obvious reason you need this text – you teach readers! If you (like me) teach readers – of any reading level – you need this text in your arsenal of resources. Veteran teacher, first year teacher… it matters not! This text has something for every teacher of readers in any school in any location. 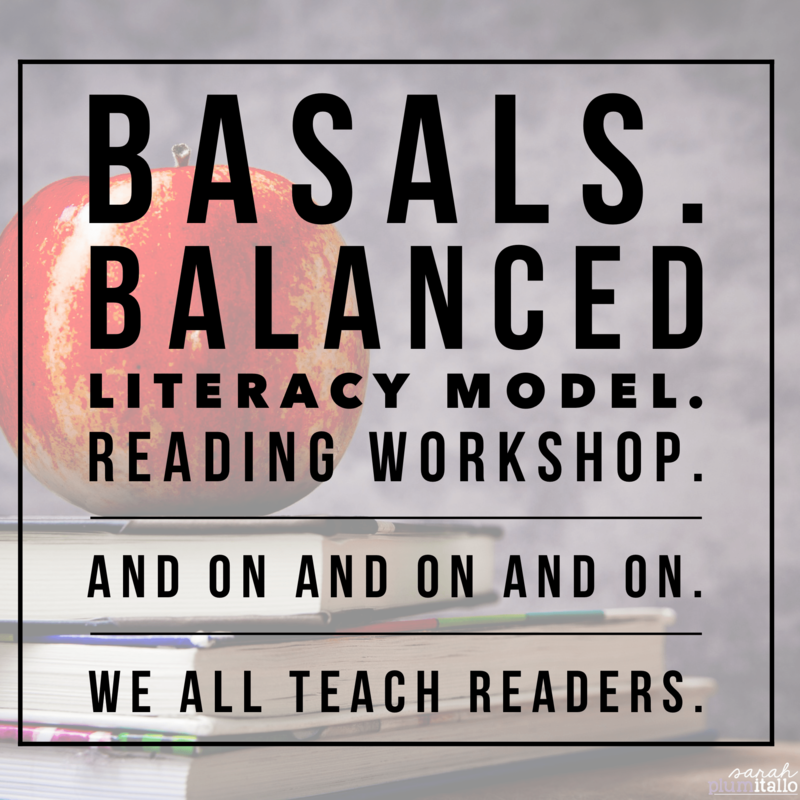 It doesn’t matter if you use a basal, balance literacy model, or anything else – this text is adaptable and compatible. 2. 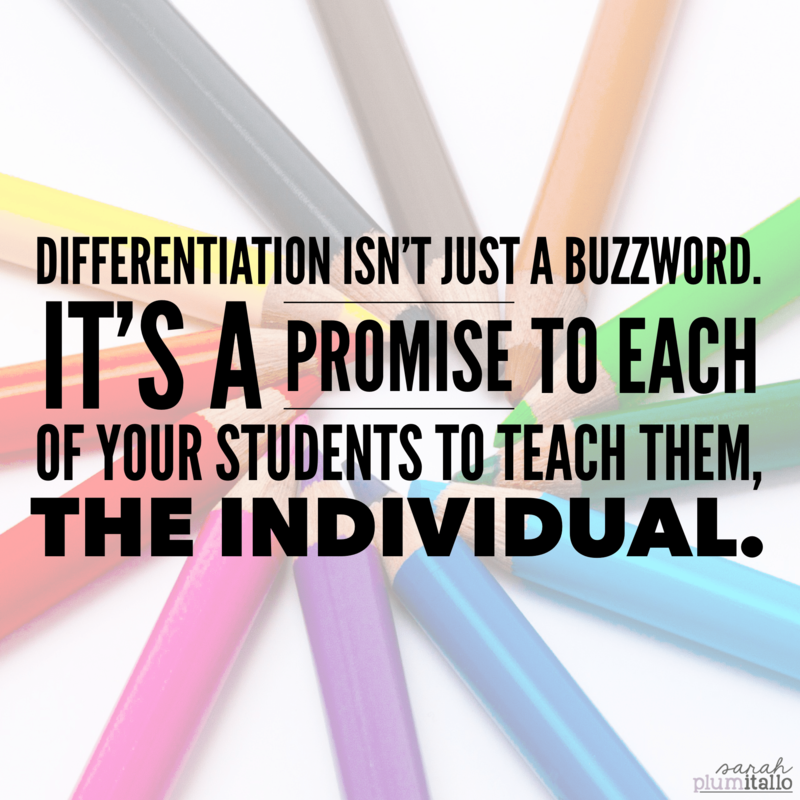 You differentiate (or want to). Most professional texts help you differentiate reading instruction in theory. This professional text helps you differentiate in practice. In my humble opinion, there’s no more important of a subject to differentiate than reading. Reading is the key to success for our students, and if they do not receive what they need – not what the average of their classmates need – they will not experience the success they deserve. Jennifer Serravallo has laid out this text so that you can easily target your students’ needs and differentiate in multiple settings. The text is laid out first by goal (such as fluency or identifying main idea in fictional texts), then by strategies specific to supporting that goal. The strategies are organized by a range of suggested reading levels to help you further select strategies that are just right for your students. You can also see whether a strategy is limited to a particular genre, or applicable to any genre. This organization allows you to differentiate not just within a students’ reading level, but with their strengths and weaknesses in comprehension or particular genres as well. With this text, having mixed strategy groups and the flexibility to move students frequently is a breeze. 3. You set reading goals with your readers. Research tells us that goal-setting in reading is increasingly important. One of my personal goals as a teacher of readers is to improve my practice when it comes to supporting my readers. The way I’ve chosen to do that is focusing on setting specific reading goals with each of my readers — and following-up to refine and select new goals as appropriate. Serravallo is a proponent of goal-setting, and makes it easy to use The Reading Strategies Book as your primer for your students’ goals. Her table of contents is setup by reading goals, which makes it easy to select an area of focus with your reader and follow-up with a teachable strategy. You can then track students’ progress toward their goal as they integrate each strategy into their own reading behaviors. 4. You love attractive, purposeful anchor charts. Raise your hand if you’ve searched anchor charts on Pinterest or on Google in the recent past. Raise your hand if that past was this week. Or yesterday. Or today. My hand is held high! I am a total sucker for an attractive, purposeful anchor chart – the real key being purposeful. While I love my Mr. Sketch markers and anchor chart supplies something fierce, I love my students’ ability to repeatedly refer to an anchor chart to scaffold and support their learning even more. 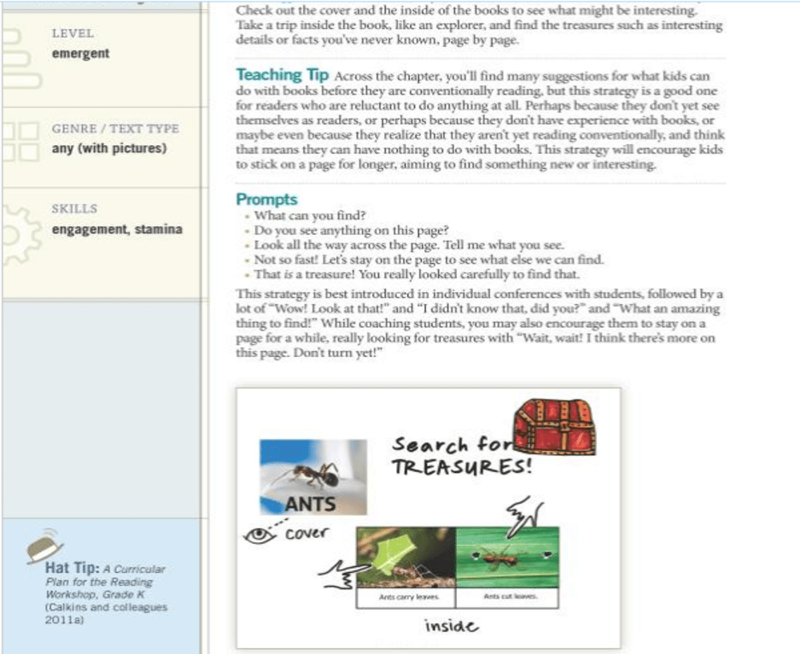 The vast majority of strategy lessons that Serravallo includes in The Reading Strategies Book are accompanied by a sample anchor chart for you to co-construct with students. This text is literally like having a completely organized, research-based Pinterest for readers at your fingertips. Serravallo gives you great suggestions for how to make them your own, and how to adapt them for a variety of learners (including English Language Learners like the students I teach). These anchor charts have been some of the most powerful I’ve ever had in my classroom – and students do refer to them long after you’ve completed the mini-lesson. 5. You want explicit, easy-to-implement strategies. I love professional reading. I own a lot of professional texts. I have not, however, read them all cover to cover. What I love most about Serravallo’s The Reading Strategies Book is that you don’t need to read it cover to cover (though I have because I just love it that much). This text is made for teachers, by a teacher, to be used daily as a tool. This is not just summer reading, this is everyday reading that you put into practice! At our twice-a-week PLCs, my team (including our administrator), often pulled out The Reading Strategies Book and utilized it to drive our small-group and whole-group reading instruction. We talked about what worked and what didn’t, what students needed which strategies, and what we need to emphasize as a whole grade level. This is an incredible text to use as a team – and it gets results. This text is easy-to-read – you will not fall asleep, I promise! 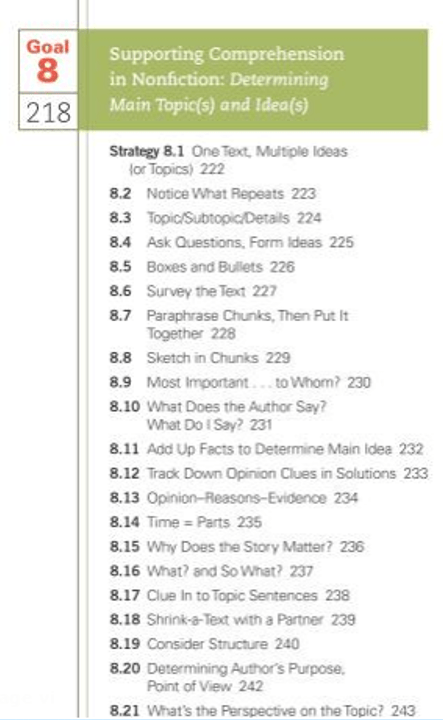 It gets straight to the point, explains each strategy, offers teaching ideas, prompts you can use with your students, “hat tips” for further reading (I loved these), and often a visual to pair with the strategy. I can’t say enough about how easy this text is to use – and how much it is used. This will not take up real estate no your bookshelf – it will take up permanent residence in your teacher bag! There is a wonderful Facebook group for users of the text that you can join here. You can follow Jennifer Serravallo on Twitter here. You can download a FREE study guide for the text here. Sarah Plum(itallo) is a 3rd grade teacher and 21st Century Grant coordinator in Virginia. She writes curriculum for diverse classrooms and presents professional development on ELLs. Read more about Sarah and her background in education here.